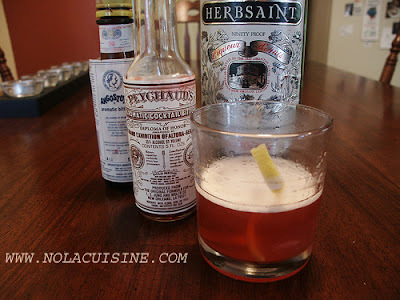 I did a bit of a Louisiana Charcuterie tour on my last trip to Louisiana with Boudin, Andouille and Hogshead Cheese being the primary focus. When I’m home in the Detroit area and dreaming of Louisiana, Boudin is one of the things I miss most. So I have to make my own. For my latest batch of Boudin, I used the very minimally processed Cajun Grain Brown Jasmine Rice that I spoke about in an earlier article. 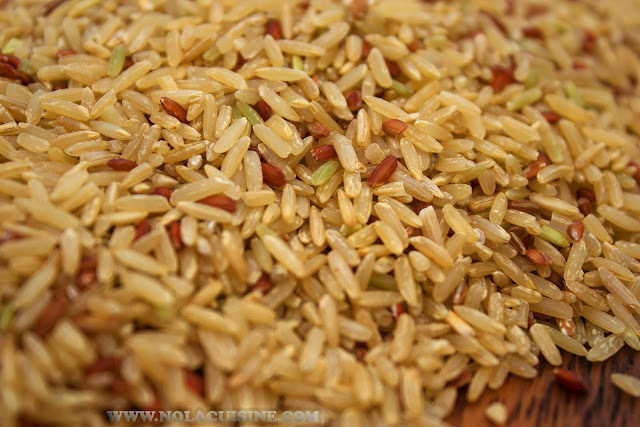 I love the texture and real rice flavor that it adds to the finished product! 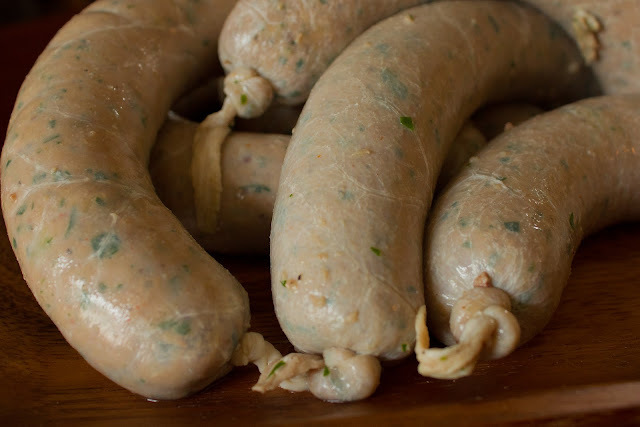 I like just enough liver flavor in my Boudin, without it being over powering, be sure to only use fresh pork liver, and lots of green onions and parsley! 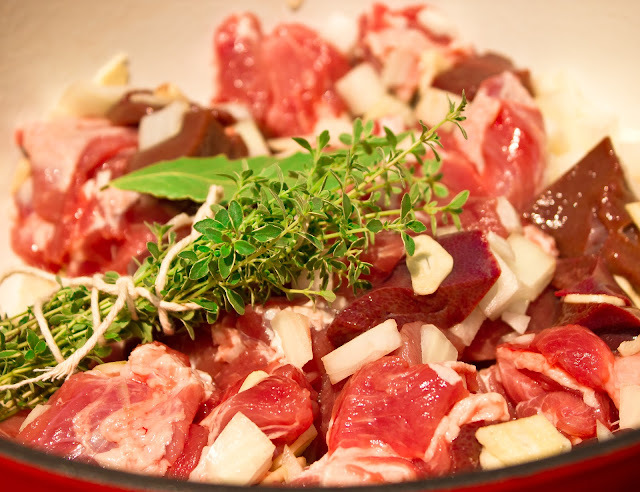 Cut the pork and liver into 2 inch pieces and place in a Dutch Oven, along with the onion, garlic, thyme, and bay leaves. Cover with cold water by 2 inches. Season the water well with salt and black pepper. Bring to a boil then lower the heat to a simmer, skim off any scum that rises to the surface. Simmer for about 1 hour or until the meat is very tender. Remove the bay leaves, and thyme, then strain the solids from the broth, reserve some of the broth. Run the cooked meat and vegetables (while they’re still hot) through a meat grinder or food mill, or you could chop this by hand. Combine the cooked rice with the ground meat mixture, green onions, and parsley. Mix thoroughly and season to taste with Kosher salt, black pepper, and Cayenne. Add some of the reserved cooking liquid to make sure that the finished product is very moist, bearing in mind that the rice will absorb much of the liquid as it sits. Spread the mixture on a sheet pan and place in the refrigerator to cool. 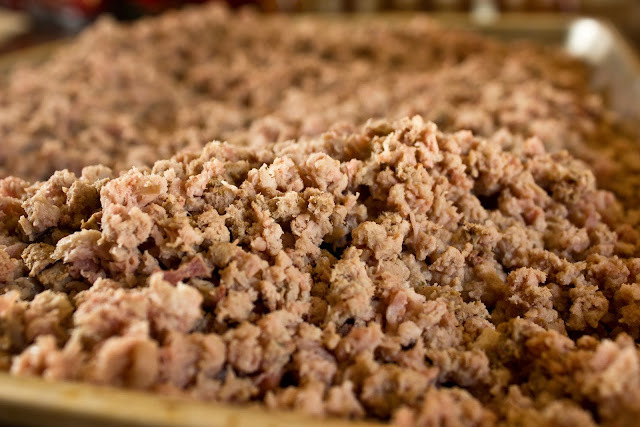 When the mixture is cool, stuff into prepared hog casings, or form into patties or balls for pan frying. 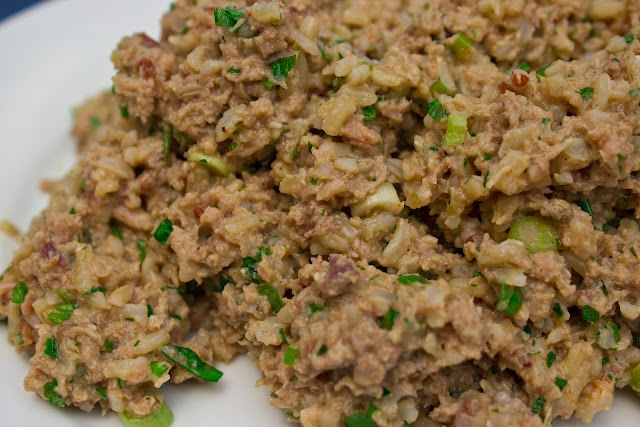 Boudin also makes a great stuffing. 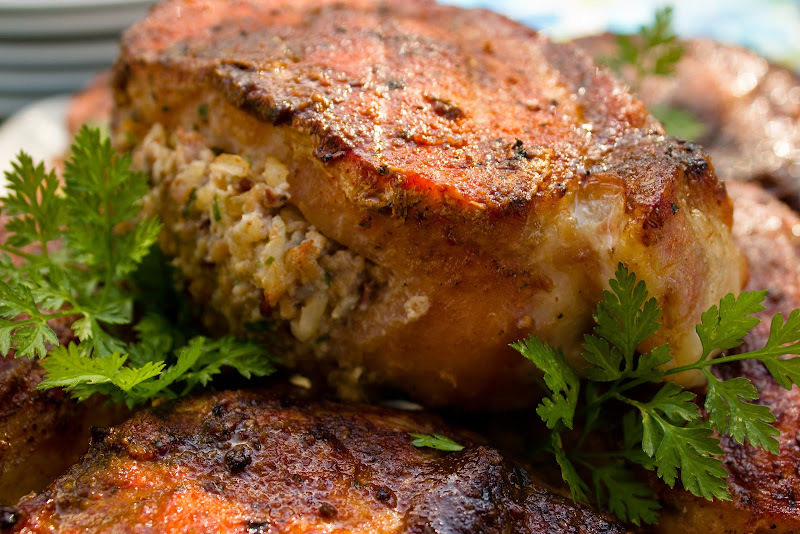 Here is a pick of my Boudin Stuffed Barbecue Pork Chops! To heat the stuffed Boudin links either poach them in water between 165-185 degrees F or brush the casings with a little oil and bake in a 400 degree oven until heated through and the skins are crispy. Boudin is also phenomenal smoked! Makes 4 1/2 to 5 pounds. This recipe is an excellent use for leftover cornbread, preferably made the best way in a cast iron skillet. The crust that the cast iron develops will make a better stuffing as it will have a much better texture. I tried out the cornbread recipe from Donald Link’s cookbook Real Cajun (my review), I really liked it (although it’s not a sweet version if that’s what you’re into) and it worked really well for this recipe. 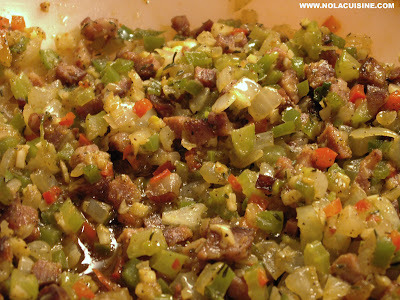 I made a batch of this stuffing with the last of my homemade Andouille sausage from the freezer, I guess it’s time to fire up the smoker again and restock. 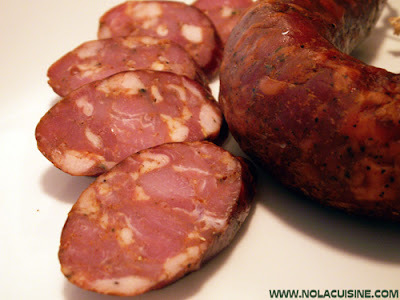 Here is a pic of my homemade Andouille Sausage. I stuffed this dressing into 2 inch thick pork chops and grilled them, just gave them some color then turned the heat down with some smoldering Pecan wood chips underneath. I foolishly forgot to get pictures, because we were starving, sorry. This would also be an excellent stuffing for Roast Chicken, Turkey, Turducken, or hey, even Peppers. Add the cornbread and stir well to coat with the Andouille and vegetable mixture, reduce the heat to medium low. Add the stock a little at a time you do not want the mixture too wet or too dry, but bear in mind that you will be adding an egg when the mixture cools. You can always add more stock, but you can’t take it out. Stir in the green onions, place the stuffing in a dish and cool in the refrigerator, when cool, add the egg, mix well with your hands. Makes enough to generously stuff 4-6 Pork Chops or one Chicken. 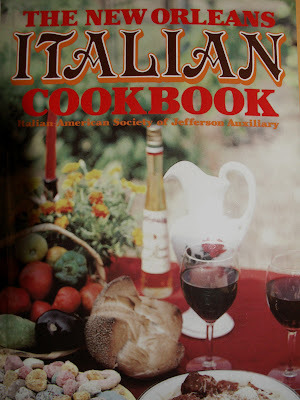 If using for Turkey I would double this recipe. 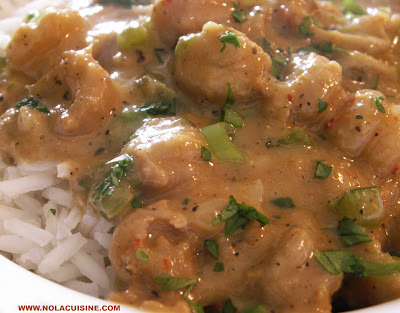 Be sure and check out my ever growing Index of Creole and Cajun Recipes which links to all of the recipes featured on this site! Super Bowl Sunday – Go Saints!! Saints fever in New Orleans, I wish I was there to watch the game and get wild in the quarter before and after, but unfortunately that’s not going to happen, so the next best thing is to whip up some game time chow that will, in flavor at least, whisk me and my guests away to New Orleans as we hopefully watch the Saints go marching to victory. 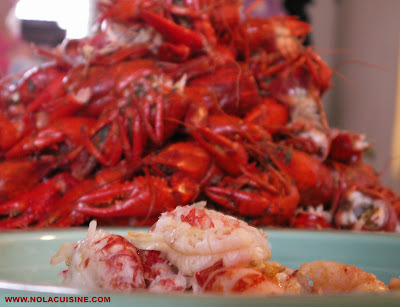 Here are a few ideas for a great Super Bowl party with some New Orleans flavor. Good luck to the Saints!! Bring it home!!! 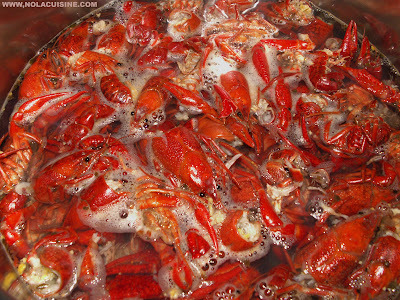 Be sure and check out my ever growing Index of Creole and Cajun Recipes which provides links to all of the recipes featured on this site! If you’re ever in the neighborhood of Commander’s Palace in the Garden District, you can almost follow your nose to the front door by the aroma of bread pudding which wafts across the neighborhood. I always picture a looney tunes character, closing their eyes, nose to the air, flapping their hands and floating along the scent trail to the source. I always think of that when I make this recipe and my kitchen smells of cinnamon, nutmeg and vanilla. Bread Pudding is a combination of two things that I hold dear, great cooking spawned from frugality, and comfort food. What is more comforting than a plate of warm bread pudding covered in spiked and sweet Whiskey sauce? I based this recipe loosely on the Commander’s Palace recipe from one of my absolute favorite books Commander’s Kitchen by Jamie Shannon and Ti Adelaide Martin, by one of my absolute favorite restaurants. I will also be featuring the Commander’s style Bread Pudding Souffle in the next few days, which is, in my humble opinion, one of the best desserts around. Anywhere. Butter a square cake pan with the butter. Mix together the sugar, cinnamon, nutmeg, and salt in a small bowl. In a large Mixing bowl whisk the eggs, add the sugar mixture, then whisk in the cream and vanilla extract. Fold in the bread cubes being sure to not break them up too much. The trick to this recipe is to make sure all of the bread soaks up the custard, and that you don’t overcook it. Place the prepared mixture into the cake pan, cover with foil and place the cake pan into a larger pan, sufficient enough to allow for a water bath which will cover the smaller pan by half way. Place the pans into the oven and bake for 2 hours. Remove the foil and raise the temperature to 300 degrees for 1 hour more or until the top of the pudding is golden brown. The finished pudding should be slightly firm, while moist, but not runny. Serve warm with Whiskey sauce, recipe below. Mix together the water and cornstarch. Bring the cream to a boil in a small saucepan. While boiling slowly whisk in the cornstarch slurry, when the sauce is thickened remove from the heat and add the vanilla, bourbon and sugar. Set aside to cool to room temperature. Be sure to visit my ever growing Index of Creole & Cajun Recipes! 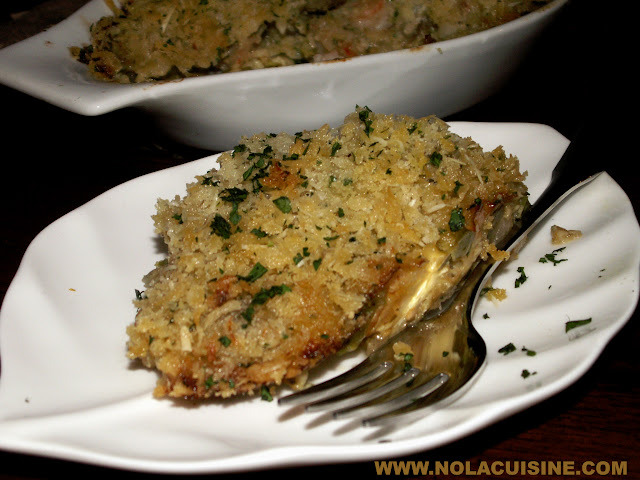 It provides a link to all recipes featured on Nola Cuisine. Fried Okra is sometimes called Southern popcorn, because when you start eating it, you just can’t stop. Try making some as an appetizer at your next gathering to see why. 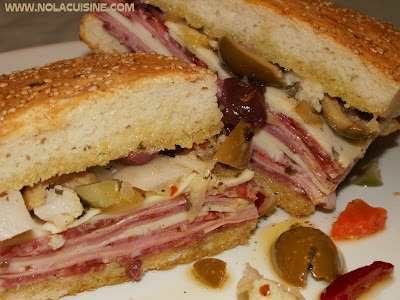 I served mine with a Green Onion Aioli, recipe is below. Enjoy! Heat the oil to 360 degrees F.
Whisk together the egg yolks, milk, hot sauce, salt, and Cayenne. 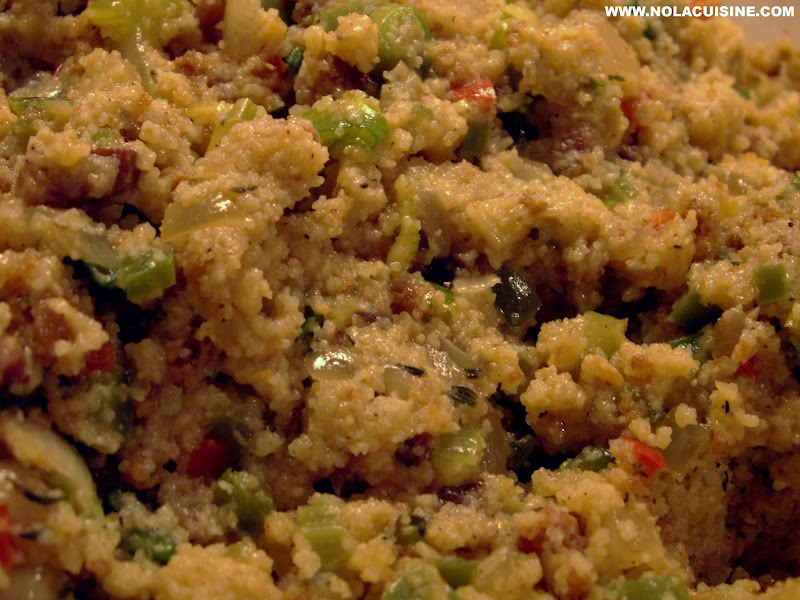 Place the cut Okra into the eggwash, mixing it up a bit to cover. Let stand 15 minutes. In the meantime, combine the cornmeal, corn flour, and seasonings in a brown paper bag, shake well. Take the okra out of the eggwash and place into the paper bag, shake well. Do this in 3 stages for even coating. Fry the okra in batches until golden brown, I did mine in 3 batches to prevent overcrowding the pan, and making the fried okra greasy. Drain and remove the okra to a paper towel lined plate. Season with Kosher salt immediately after removal. Serve with Green Onion Aioli (recipe below). 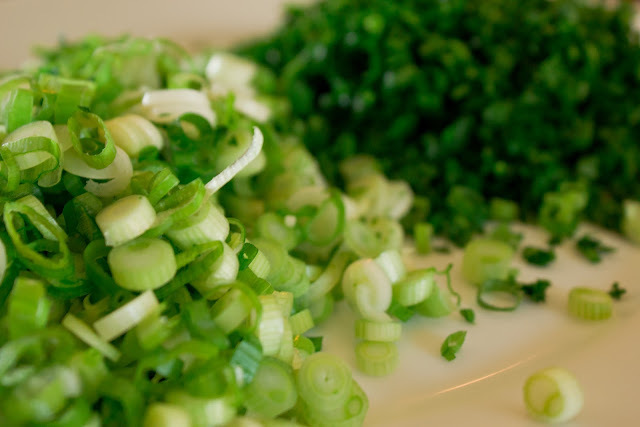 Combine the green onions, garlic, egg, lemon juice, and salt in the workbowl of a food processor. Puree well until the mixture is green. With the motor running on low speed slowly drizzle in the oil until the mixture is thick. 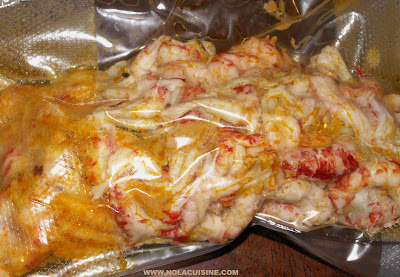 Toss the Catfish with the Creole Seasoning and keep in the refrigerator. Heat the bacon drippings over medium heat, add the trinity (onions, celery, bell pepper) and saute until slightly wilted. Add the tomatoes and cook for about 1-2 minutes. Cover with the stock by 1/2 inch, add bay leaves, thyme, garlic and a small amount of seasonings, bring to a boil; Add the Dark Roux, cook stirring constantly for 2 minutes. Lower to a simmer, simmer about 20 minutes. 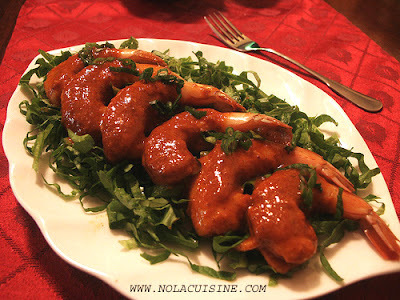 Stir in the hot sauce, Worcestershire, Peychaud’s, parsley, 1/2 of the green onions, Catfish and the lemon slices. Simmer for 30-45 minutes. If the Courtbouillon gets a little too thick add a touch of stock or water, the consistency should be stewlike, not watery. Be careful when stirring the pot not to break up the Catfish. Adjust the seasonings if necessary, remove the bay leaf and lemon slices. Serve over boiled rice and top with the remaining green onions.